Nicole Lobry de Bruyn and Murphy. 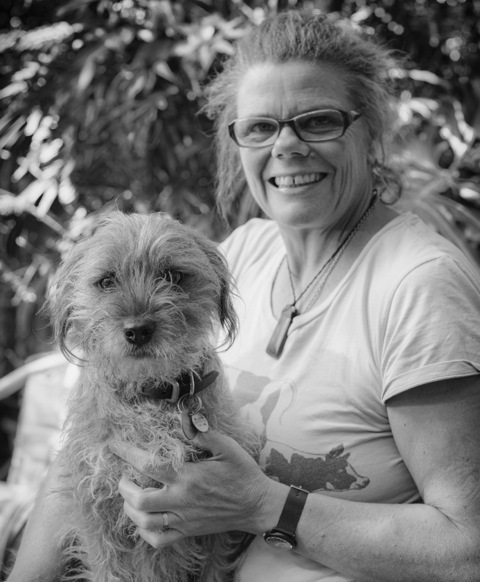 Nicole Lobry de Bruyn is an animal behaviour veterinarian and teacher based in Western Australia. Her life was changed by adoption of a dog with a mental health issue, and a career change followed. She's also an accomplished author and blogger. She now runs ANIMAL sense. I finally met her in person at the Australian Veterinary Association annual conference where she was soaking up the behaviour sessions in the scientific program. My day job is both teaching animal behaviour to undergraduate veterinarians and running ANIMAL Sense – a private small animal veterinary consultancy business. What sparked your interest in animal behaviour? It was a slow burn. Firstly, I adopted a dog reactive dog from the clinic only to discover I didn’t know how to treat him and my search ended in much confusion from trainers. I went on journey of discovery using science and compassion as my base. What are the key behaviour problems you see in companion animals? Nearly all behaviour problems are a result of fear and anxiety and arise through genetics, environment and learning. Through extensive questionnaire assessment of history, observation of the animal and rule out of medical conditions. How do behavioural disorders impact on the welfare of animals and people? It impacts the quality of life of both people and pets. There is lots of evidence saying how good pet owning is for humans, but having a mentally ill pet can be very stressful to a family and giving them the support they need is very rewarding. Are there any ways to prevent behaviour problems developing in animals, or is it simply a matter of treating them as they arise? As much as possible breeders should be selecting for temperament, providing positive early socialisation experiences and owners should be counselled on how dogs learn – therefore only ever using positive reinforcement techniques. What non-human do you share your life with and how did you meet? Border Terrier Murphy obtained from a breeder at 5 months of age. 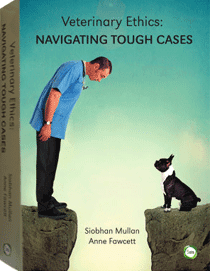 Practice vet medicine with compassion for yourself your clients and their companions. Be guided by science. Always follow an ethical approach when changing behaviour – least intrusive, minimally aversive methods.